Hair fall is a common hair problem. People of all ages may suffer from this problem. Malnutrition, hormonal changes, depression, side effects of certain chemicals and some inherited factors may cause hair fall. Normal hair fall is a natural phenomenon but if it exceeds from normal range, you must find out the correct way to treat this problem, otherwise excessive and unchecked hair fall may cause permanent baldness. Regular massage with Olive oil will strengthen your locks, stops hair loss and prevent graying of hairs. You can enhance the effect of olive oil by adding equal quantity of of almond or rosemary oils as these oils also have a good repute in hair care. 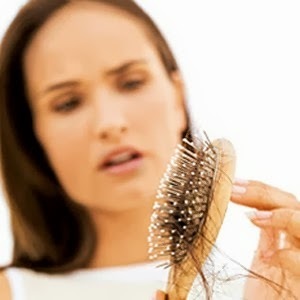 A good combination when employed for hot oil treatments is among most popular hair loss solutions. Take 1 tablespoon of honey, 1 tablespoon of almond oil and one egg yolk. Blend them well to make a paste and apply for an hour and then wash your hair with regular shampoo. For best results repeat this twice per week. Coconut milk can be massaged directly on the scalp to promote hair growth. This can be obtained by grinding fresh coconut and than squeezing it. Mix it with water that came out from raw coconut. Now slightly warm it and apply to the hairs at least for one hour. This can be repeated daily and should be continued till the required results are obtained. For hair loss, dip a hand full of Fenugreek seeds in water and let them soak for 3- 4 hours. Now grind them and use this liquid as a shampoo. For best results repeat twice a week. Mix 2 Tablespoons of Olive oil, 1 tablespoon of Rosemary extract, 1 tablespoon lemon juice and 1 egg yolk and apply it on your hair and scalp. This methods does work effectively, only if done continuously for over a week. Add 1 gram Black pepper in 100 grams of curd and apply on scalp then wash the hair with warm water. Apply this method weekly.This is also considered very effective to cure baldness. Apply a boiled mixture of mustard oil(sarson ka tel) with heena (mehndi) Leaves.This method works to promote healthy growth and reduce further hair fall. Take 1 egg, 1 tablespoon of curd and 1 tablespoon of henna powder. Mix them well and apply to your hair and scalp. Leave the mixture at least for one hour and then wash with regular shampoo. Make a cup of green tea by mixing 2 tea bags. Let it cool and apply lukewarm green tea on your scalp and leave this mixture on at least for one hour and then rinse. Green tea contains antioxidants which prevent hair loss and boost hair growth. Hot oil massage treatment is considered very effective to prevent hair loss and promote hair growth. Hot oil massage improves blood circulation and stimulate hair growth. Take any natural oil like almond, olive or coconut oil. Heat this oil until it become lukewarm. Now massage it gently into your scalp. Put on a shower cap and leave it at least for one hour and then wash your hair with regular shampoo.